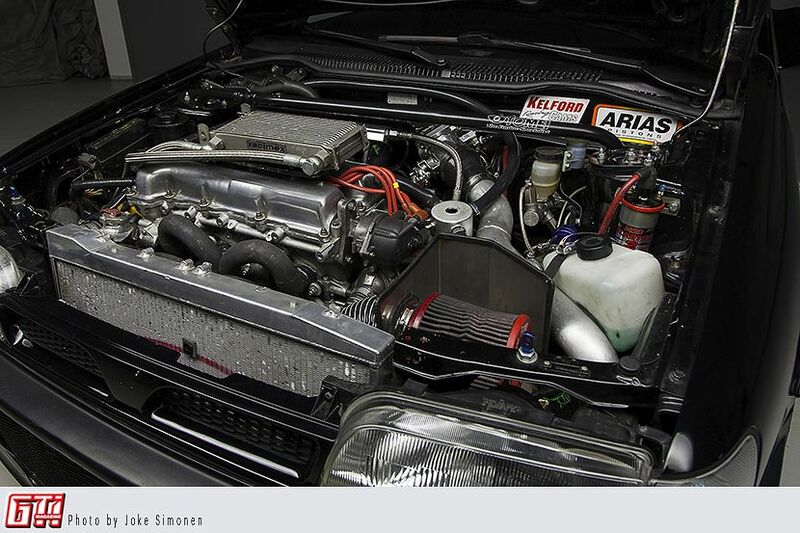 At a glance you might think this is just a tuned Nissan Sunny. Well, it kind of is, actually. It also is a deliciously rare left-hand drive Sunny GTI-R, with enough firepower to annihilate pretty much anyone foolish enough to try an overtake. For those who are not familiar with the car called Nissan Sunny, a little history lesson might come in handy. Sunny is the same car as Nissan Pulsar, but Sunny was the name chosen for European exports. In the beginning of the '90s Nissan decided to try its luck in the world of rallying (WRC Group A), and this of course meant that they had to build a homologation model. Enter GTI-R, with an SR20DET (2.0 16-valve turbo) and ATTESA E-TS four-wheel drive. The car could do 0-100km/h in about five seconds, and looked awesome with its hood scoop and rear wing, which curiously are the only external signs of power. 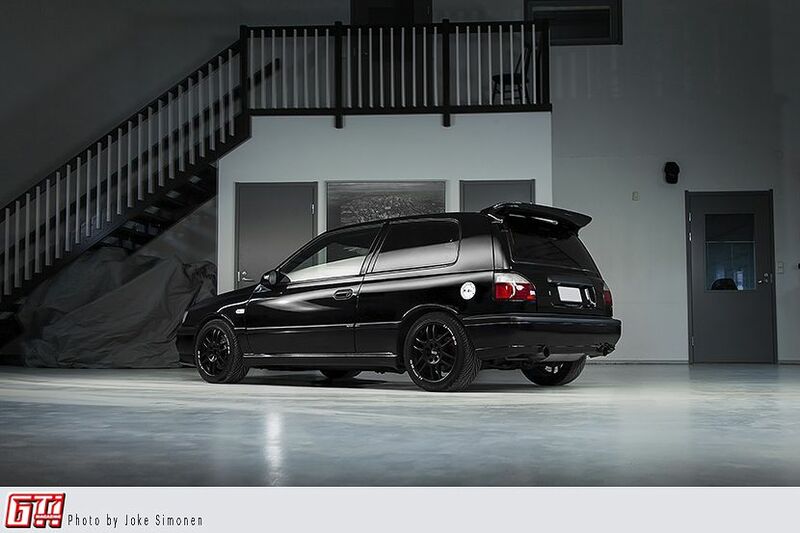 About 12000-15000 cars were made, some called Pulsar (JDM models) and some called Sunny (European models). Only about thousand of them were left-hand drives, so the car you're looking at is really not your average Sunny. This is actually the second GTI-R owned by Jarno Varonen. At first Jarno bought an RHD Pulsar, but after two engine rebuilds and being the victim of a serial arsonist, it was time to admit that the car was done. The car wasn't in top shape even when he bought it, but he immediately saw the immense potential and fun factor in it, and fell in love. Actually he was originally shopping for Skylines, but he then noticed the Pulsar sitting in the corner of an import shop, and immediately fell in love. After the car (along with the friendly neighborhood squirrel) was burnt to the ground by the arsonist, Jarno was about to give up, and was looking to buy a Skyline (again). 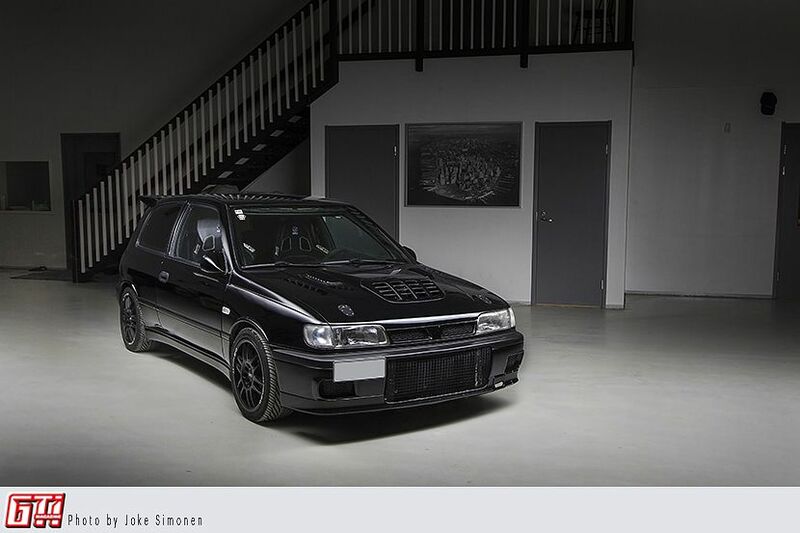 However, he soon heard news that in Sweden there was a genuine 1992 LHD Sunny GTI-R for sale due to a family growth factor, and it really wasn't that hard a decision. Like everyone knows, Nissan's SR20DET is mighty fine even in stock form, producing 223hp from its two-liter 16-valve turbocharged engine. This GTI-R has been tickled a little, and now the engine produces over three times the original horsies: 677hp and 630Nm. The biggest reason to this is the Precision Turbo SC5857 turbocharger, which is neatly hidden from curious eyes under the header.. The engine bay doesn't look that different from stock, but a lot has been changed, of course, to create this much power reliably. The displacement hasn't been changed, but obviously the internals are now forged. The functional hood scoop delivers fresh air to the KL-Racing oil cooler, which is placed where the stock intercooler used to reside. 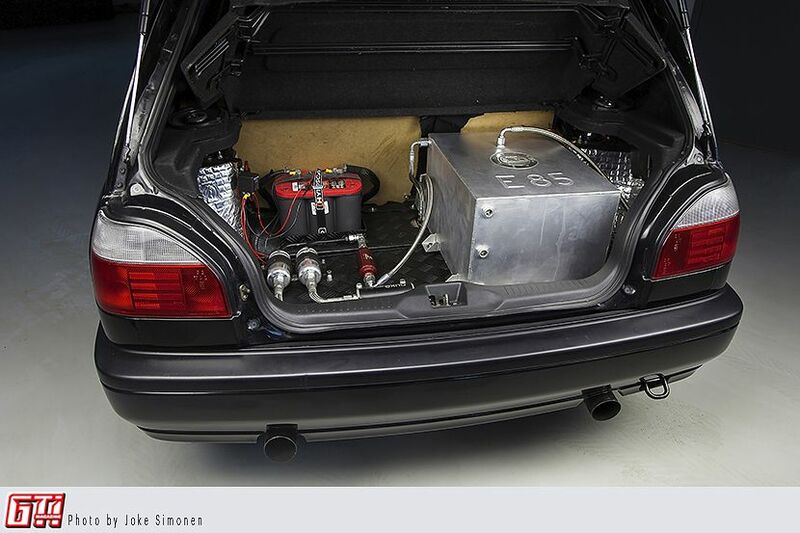 The car has also been upgraded with a custom safety tank that holds up to 45 liters of E85. Two Bosch fuel pumps, also located in the trunk, move the fuel to the 1200cc Bosch injectors. Suspension-wise the car has been upgraded with D2 Racing coilovers, Whiteline sway bars and Poweflex bushings, and the front brakes have been upgraded to Skyline's Brembos. 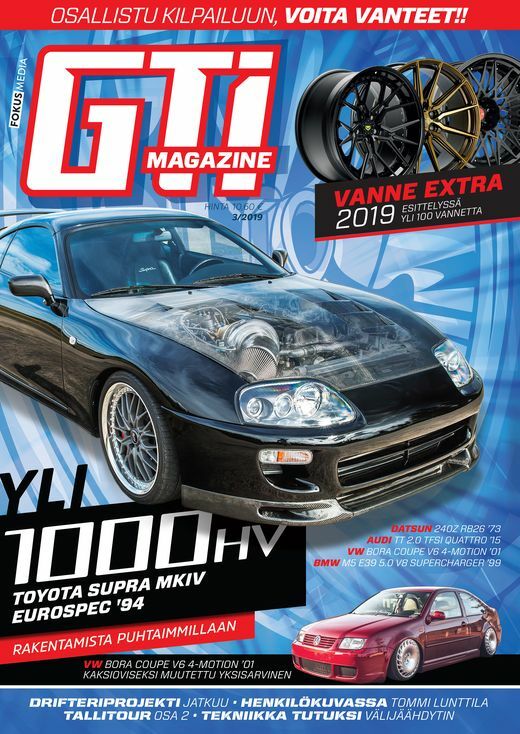 The OZ Racing F1 wheels are 16” in size, which might sound teeny when you compare to newer standards, but with 215/40 square stance they perform splendidly. With these specs the light and four-wheel driven Sunny is pretty joufyl to drive, to say the very least. 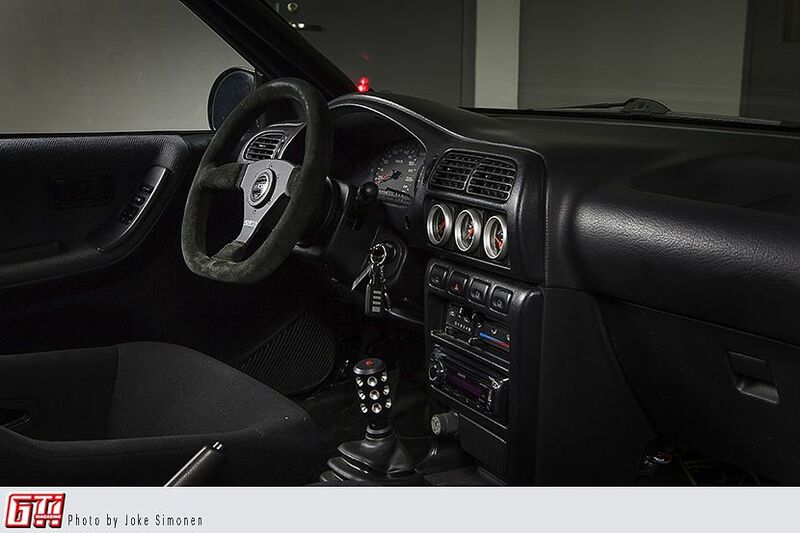 The interior isn't that different from stock, but the extra gauges might give some implication that something has been done. What is a dead giveaway, however, is the moment when you start shifting gears. The gearbox has been upgraded with PPG straight cut gears (gears 1-3) and Quaife gears (gears 4 and 5), both of which can take a lot of beating and sing the song of the apocalypse. The powertrain has also been further upgraded with a Phantomgrip front LSD and a Sachs SER 765 pressure plate with a sintered disc. 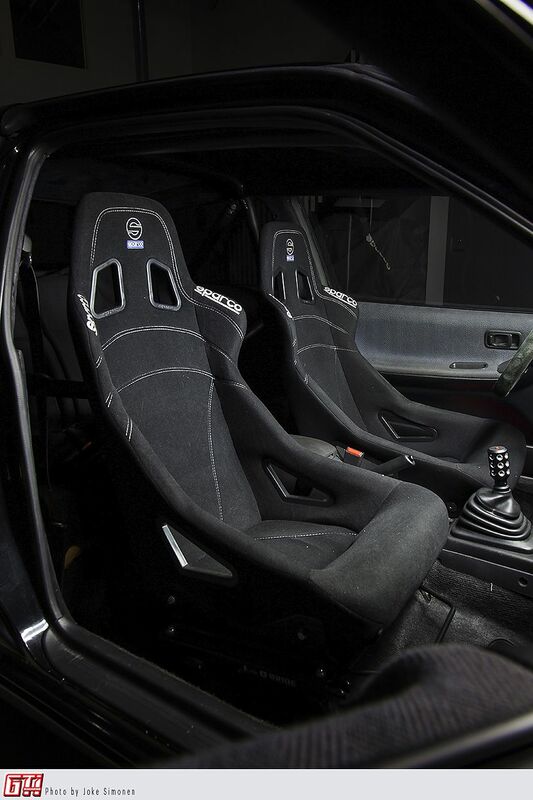 When you see Sparco seats in a Sunny, most of the time it's a total overkill. Well, for once, they are a necessity. Pretty much everyone smiles like a total schmuck when the gas pedal is pressed to the floor. And it's not hard to imagine, when you think about this lightweight and insanely powerful 4wd shredding tires with the first two gears. Even Jarno's father showed his inner child and took the car to a 200 meter drag race. He managed to accelerate the car in 7.934 seconds with 152km/h on the gauge on a damp track. That would mean about 11-12 on the quarter mile, depending on the calculator. On a dry road with better tires and hands you could expect pretty good times, or then you could have a broken gearbox in your hands. Speculation is speculation, but the hard fact remains that there's more than enough power under the hood to satisfy the need for speed. It's built with quality parts, it's rare as an unicorn, it's loud and obnoxious with its screamer pipe and straight cut gears, and it's fast as a guy sneaking out of another man's house in the morning after. What's there NOT to like?